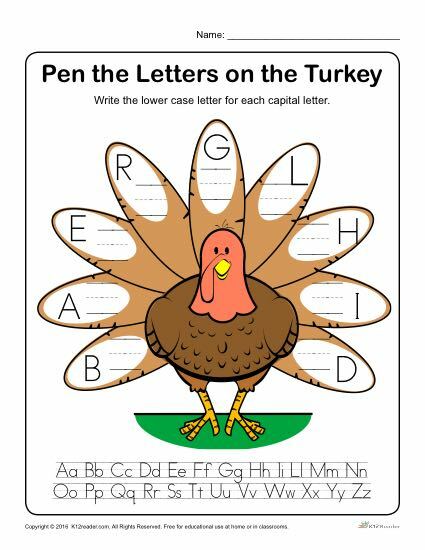 Make practicing writing letters fun with this Thanksgiving Activity! Students will be asked to write the lower case letter to the upper case letter given on the turkey. This printable worksheet is great for use both at home and in the classroom. Ideal for K-1st Grade, but can be used where appropriate.